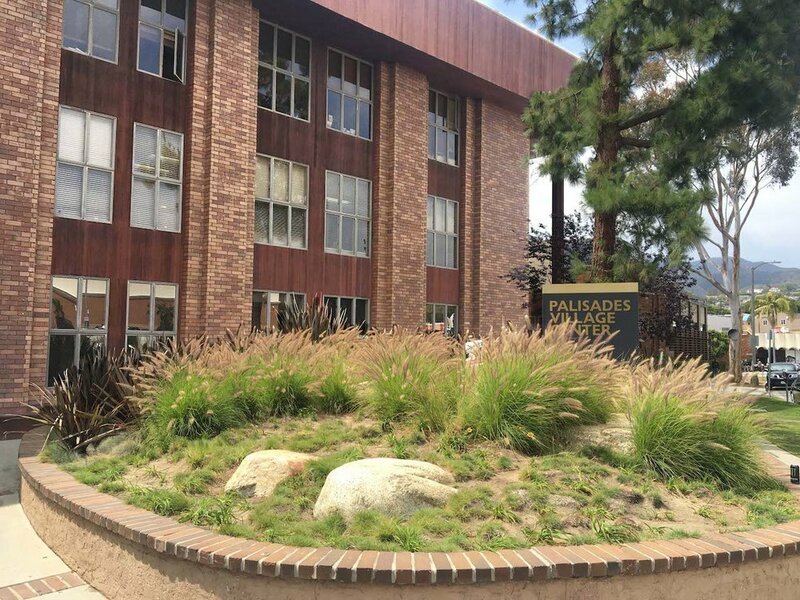 Palisades Music School was founded by Jy Gronner, a conservatory-trained pianist, award-winning teacher, performer, and multi-instrumentalist. Although our dynamic faculty is a draw for many, we specialize in fun, innovative, research-driven, multi-sensory, and transformational music education programming, offering a growing array of weekly lessons, year-round workshops, and performances. over the years. Some were fun. Some were clever. Some were thorough. Here’s one that has it all. For our youngest students -- infants, toddlers, and preschoolers -- we offer Lynn Kleiner's outstanding Music Rhapsody program. This internationally acclaimed program provides a fun and stimulating learning environment that combines music and movement through song, instruments, and play, providing the perfect setting for achieving the dramatic effect on brain development proven to occur at this critical step in your child's growth. Children engage in multi-sensory activities across all learning domains, leading to developmental advances in language and literacy skills and far-reaching neurological effects. Music Rhapsody specifically prepares students to transition into our revolutionary Simply Music® and Inner Musician® piano programs, priming them for acquiring and retaining music as a lifelong companion. Our youngest piano students -- 5 and 6 year-olds -- participate in the exciting Play-a-Story program by Inner Musician®, a groundbreaking curriculum that unfolds unique musical concepts directly onto the keyboard, as students learn basic piano skills through story and the experience of their own musicality. As they are primed for our next piano program around age six, they are already playing fluently -- their rapid integration of musical concepts greatly increasing their ability to progress. Our older piano students -- ages 6 - 106 (well, we do have a 96-year-old!) 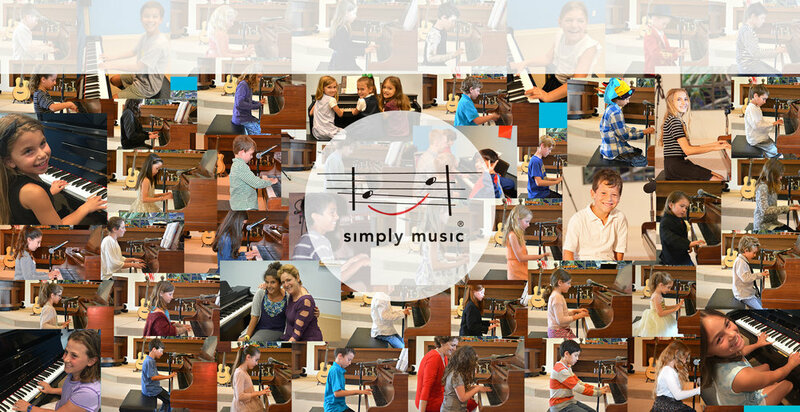 -- learn piano through Simply Music®, the revolutionary Australian-developed program that has students of ALL ages -- children, teens, adults and seniors -- playing great-sounding classical, popular, blues, and accompaniment pieces immediately -- from their very first lessons! This unique approach produces unprecedented results, and is not only becoming the new standard in entry-level music education, but is redefining music learning. In contrast to traditional learning, this breakthrough program is tactile, experiential, and multi-sensory, with students being physically, visually, and aurally fully absorbed. Meet Neil Moore, the creator of Simply Music. The first (required) step is for parents and adult students to attend a no-obligation Free Introductory Session (one hour long). Children over the age of nine may attend, but are not required to attend. At the Session, you will learn how we are obtaining our remarkable results, take part in a demonstration (learn a piece of music), and hear about the lesson structure, curriculum, fees, and scheduling. We highly encourage both parents to attend the Session (and one parent attends each lesson). There will be an opportunity to enroll in weekly lessons, though there is absolutely no obligation. New student enrollment occurs twice per year, in the Fall and Winter. My daughter is only 7 years old with no previous music knowledge. Our experience has absolutely surpassed our expectations. Please call 310 454 1045 for more information. It is such a joy to hear my daughter playing and singing at the top of her lungs! Jy Gronner began classical studies at age six and was trained in piano in Oxford, England, and piano and conducting at the San Francisco Conservatory of Music. In addition, Jy earned a Bachelor of Fun Arts at the Ringling Bros. and Barnum & Bailey Circus Clown College. 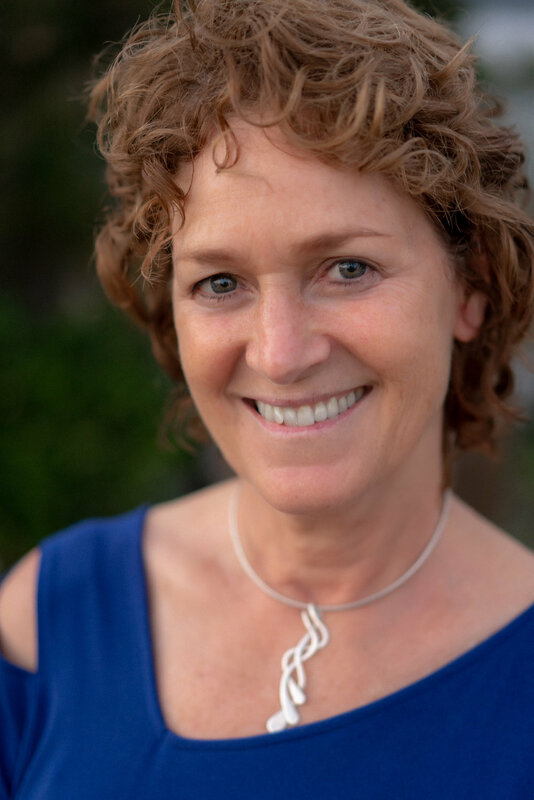 As a Simply Music teacher, Jy has achieved Advanced Teacher status, was named International Teacher of the Month in 2010, authored a chapter in the book A World Where Everyone Plays, presents regularly at conferences, and has authored organization-wide teacher training and student home materials. Jy owned and operated a studio in Marin County for eight years before moving to LA to open a school in Pacific Palisades, where she combines her skill as an experienced teacher of all ages with her passion for music. She loves to be a regular witness to the almost ineffable joy experienced by students as they find new ways to express themselves emotionally, mentally, physically, and spiritually. Guy Clearwater was born and raised in the San Francisco Bay Area and was not only surrounded by music since birth, but was raised on Simply Music:. Having started Simply Music piano lessons at age seven, he also plays drums and violin, produces music, and is an aspiring DJ. Guy holds the distinction of having become Simply Music's youngest teacher when he was certified at age sixteen. Now held in high esteem by the teacher community, and continuously growing in popularity among students, Guy possesses exceptional musical knowledge and a unique ability to communicate that knowledge. Guy’s passion is composing, improvising, and creating new arrangements of classical, contemporary, and blues pieces. He loves making an active contribution to students’ discovery of their musical creativity. Radina is a dedicated vocal coach, professional singer, pianist, and front singer/songwriter of the award-winning electronic music duo Fatmagic. Trained in piano and various vocal techniques from an early age, Radina went on to study with renowned coaches through her college years and beyond, including jazz at Vienna’s Schubert Conservatory and private study with the renowned Rocio Guitard. Radina understands the critical importance of healthy vocal technique for singers of all types – professional as well as amateur. Her love of teaching is clearly apparent, as well as the sense of pride she sees her students experience when reaching their goals. Radina holds an M.S. from the University of Vienna, is an associate teacher and member of IVTOM - International Voice Teachers of Mix, and speaks four languages. Originally from Long Island, New York, Melissa Fahn Alpers comes from a family of jazz musicians and actors, and began dance and music training at age 3. In her teens, she got her true career start as a voiceover artist and professional theatre actress, leading her eventually to the cast of the original Broadway smash musical WICKED, among hundreds of other highly acclaimed performances and roles in the world of theatre, animation, and voiceover (including the voices of Betty Boop and Hello Kitty). Her love of jazz influenced her solo album, AVIGNON, and has attracted listeners from around the globe. Melissa is happy to be sharing her experience and love of music with the youngest members of our community! With two musicians for parents, Lucy Clearwater has spent most of her life learning, composing, performing, and teaching music. She has enjoyed success as an award-winning singer and songwriter (local "Idol” winner; PTA's "Reflections" national songwriting contest 1st place (CA)/2nd place (USA), had numerous leading roles in professional-level musicals (including starring in a critically-acclaimed production of Les Miserables), and toured with an award-winning youth orchestra as a first violinist. Lucy realized her natural ability to share her knowledge at a young age, formally beginning her teaching career at age 13. She quickly became a sought-after instructor of voice, violin, ukulele, and guitar, eventually specializing in preparing students for auditions in musical theatre, contests, ensemble placements, etc., and continues to enjoy life as a frequent performer and teacher as she works on her debut album. We are conveniently located in downtown Pacific Palisades.